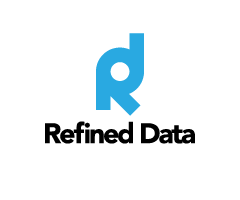 Refined Data Solutions has enhanced and simplified the process of generating a Single Sign On link (SSO) for an individual user to access a meeting room from the LMS. Previously this was accomplished via Bulk User Actions and is now expedited through our enhanced process. The Single Sign On link (SSO) is located in the Refined Tools block. This feature quickly enrolls a user into the course that contains the meeting activity and generates an SSO link that can be emailed to the user. In the LMS a new link has been added to the Refined Tools block called Send meeting link. Select this link, which will populate a list of all users in the system who can be searched or sorted in a paginated display. Locate a user and click on the user’s name. A listing of events that are upcoming or already in progress will populate on the next page, which can be searched or sorted. Select an event by clicking on it. RT TIP - Make sure that the meeting activity has been linked to the calendar in the meeting activity reminder messages. This will ensure that the meeting appears in the Select an Event listing. If the user is not enrolled in the course for which the meeting is associated a message will appear, “This user is not enrolled in the course, [[NAME OF COURSE]], which contains this activity. Would you like to enroll them?” with the option to enroll the user. After selecting to enroll the user (or if the user is already enrolled), a link will appear to enter the meeting room. This link is specifically associated with the selected user so that the user enters the meeting room as an authenticated user. This is important so that the user’s grade is captured in the LMS. Users who are not authenticated, will not have a captured grade associated with their account. There is also the option to email the SSO link to the user directly. Please do not use the event link to allow other users to enter the meeting room. If an user’s SSO link is used to allow another user to enter the meeting room, the grade(s) for the users could be confused. The SSO link ensures the user is logged in through the LMS. Then the user’s grade(s) can be reported back to the LMS and associated with that user’s account. RT NOTE - The email used to email the SSO link is the standard message from the language string files. If the message cannot be sent, the link to enter the meeting room is still available, which can be sent manually. The permission to access the ability to send an SSO is restricted to the role of send_sso_meeting_link. A confirmation message will appear when the email containing the SSO link has been sent to the user, and reset form directs back to the first page to generate another SSO link. Or click Return to Front Page. Users who are enrolled in a course using this SSO method will be assigned the role of student. In the course administration, the list of enrolled users displays the student role assignment. Users with administrative permissions enrolled in the course via the SSO method are also assigned the student role. The SSO method will not enroll the user who created the course.